Toward the end of the 2017-2018 season, the Sacramento Kings dispatched a player personnel official to Milwaukee. The Kings employee didn’t go to Milwaukee to file a report on the Bucks as the Kings weren’t going to play them again the rest of the season. More likely, the Kings official was in Beer Town doing some research on Jabari Parker, the Bucks young and talented combo forward who’ll become a restricted free agent on July 1. The Kings are, according to league sources, just one of numerous teams that wouldn’t mind having Parker on their roster next season. Parker certainly gave the Kings scout and other scouts who monitored his play late in the regular season and then in the playoffs against Boston ample reason to pursue him. After missing the first 50 regular-season games while recovering from his second anterior cruciate ligament surgery, Parker saw his game and conditioning steadily improve. He showed concrete signs of why the Bucks made him the second overall selection in the 2014 draft. In the last eight regular-season games, Parker averaged 17.4 points and 7.4 rebounds while shooting 49 percent from the field and 43 percent from 3-point range. That included a 35 point, 10-rebound outing against the Denver Nuggets. He put up those stellar numbers while coming off the bench. Then, after inexplicably having his minutes significantly reduced in Games 1 and 2 of an opening-round playoff series against the Celtics – the Bucks lost both games — Parker played major minutes the rest of the way and helped the Bucks extend the series to seven games. While the Bucks wound up losing the series, they won three of the last five games against the Celtics with Parker playing a significant role. He scored 16 points in one of those games and 17 points in two others – again while coming off the bench. Parker’s impressive late-season showing is one of the primary reasons he figures to collect some serious coin this summer. Some league sources regard Parker, who turned 23 on March 15, to be among a small tier of players below a cast of coveted superstar free agents like LeBron James, Chris Paul and Paul George. Of course, under NBA free agency rules, the Bucks can match any financial offer presented to Parker. Historically, in the vast majority of cases, restricted free agents have remained with their team. Last summer, just one restricted free agent – Tim Hardaway Jr. – moved to another team, leaving the Atlanta Hawks for the New York Knicks. 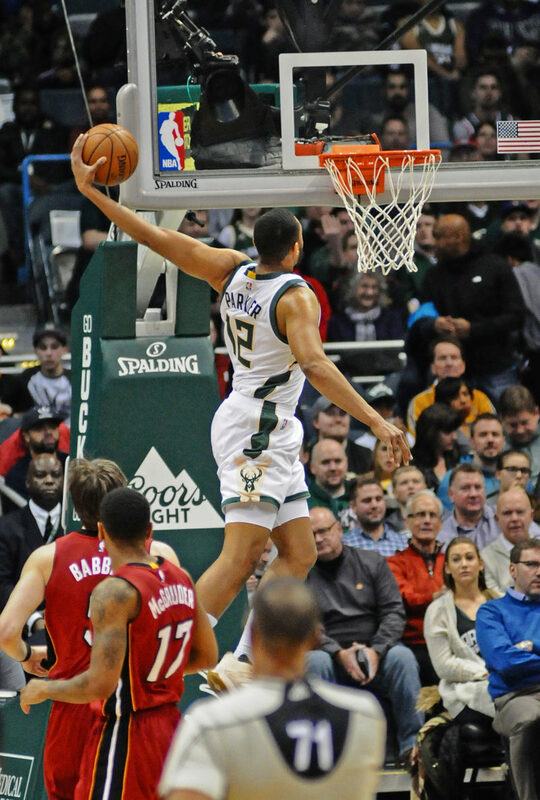 The $64,000 question is how much money a team will offer Parker to lure him away from Milwaukee. A longtime NBA executive whose team won’t pursue Parker because they don’t need a starting forward contends it’ll be hefty sum. 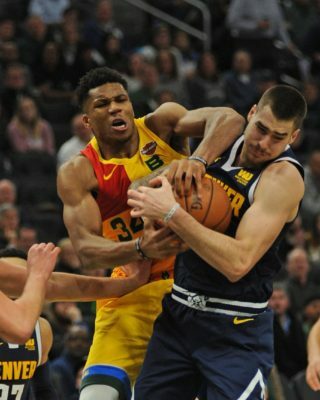 “I think some teams will give him $20 million (a season) and there might be some teams that will make it tough on Milwaukee to match and offer him even more,’’ the NBA official said. “I think Milwaukee would like to keep him for $16 million or something around that figure, trying to use his injury situation to their advantage. Another NBA official speculated the Philadelphia 76ers, who have a ton of cap space, could come into play for Parker, especially if they fail in their bid to land a covet superstar like James, George or Kawhi Leonard. And that could indeed be the case as many NBA officials are convinced James, George and Leonard will be playing for the Lakers next season. Besides Sacramento and Philadelphia, some other teams that have surfaced as potential landing spots for Parker Chicago, Utah, Indiana, Atlanta, Phoenix and Brooklyn. The latter team has been quite active in free agency in recent years, including having extended a max offer to small forward Otto Porter, which Washington matched. The Nets also made a huge offer to guard Tyler Johnson, which Miami matched. The maximum offer a team could present Parker is for four-years at $108 million. 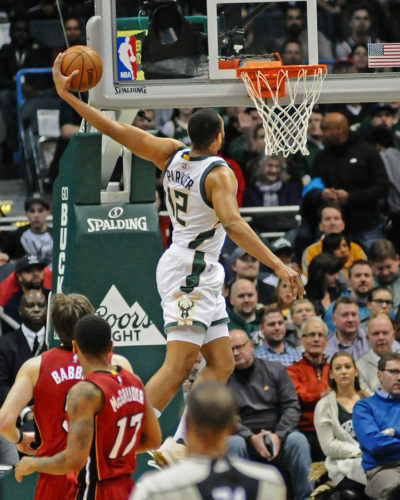 The max offer the Bucks could present Parker is five years for $146 million. While Parker agreeing to an offer sheet is a real possibility, some NBA officials contend a more likely scenario is Parker agreeing to a sign-and-trade deal. The Bucks undoubtedly would prefer a sign-and-trade as they could at least recoup something for a player who former Bucks coach Jason Kidd just last year said, along with Giannis Antekounmpo, was untouchable. It’s no secret the Bucks would be receptive to upgrading their center and/or point guard positions via a sign-and-trade arrangement. Two teams who could enter the picture in a sign-and-trade scenario are Houston and the Los Angeles Clippers. Both organizations have a high regard for Parker as a player and person. Houston, which advanced to the Western Conference Finals last season, clearly wants to add another quality player and is hoping to land either James or George, while the Clippers and Bucks had discussions before the trading deadline last February centering around Parker and Blake Griffin. 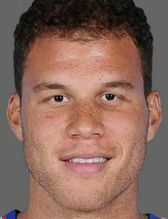 Griffin eventually was dealt to the Detroit Pistons. “I don’t see him (Parker) signing early in free agency,’’ a source said. “I see something getting done with him maybe in late July or early August. I was told by one of his friends that he (Parker) loves Milwaukee. He loves the people there; he loves the city. He wouldn’t have paid all that money (reportedly around $1.5 million) to redo that warehouse he lives in if he didn’t like Milwaukee.